Diana Group Managing Director Sopin Thappajug opens the cooking class at the resort’s Pavilion restaurant. 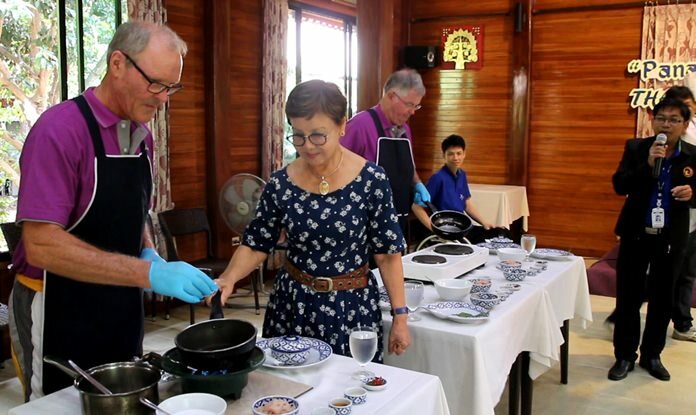 The Diana Garden Resort introduced tourists to Thai culture through food by offering lessons in cooking a signature southern dish. Diana Group Managing Director Sopin Thappajug opened the Feb. 9 cooking class at the resort’s Pavilion restaurant. 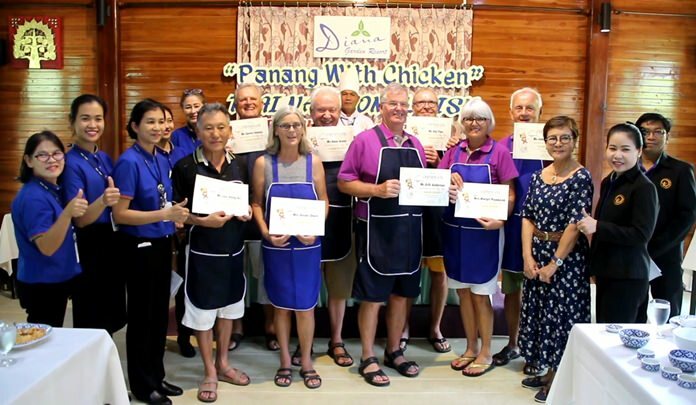 Eight foreign tourists tried their hand at cooking chicken penang curry. The chef introduced the ingredients and outlined the cooking method step-by-step, allowing the students to whip up their meal together with the expert. Everyone received a certificate showing they completed the course and, of course, a delicious lunch.